Read All About It in the Holly Springs School Newsletter! 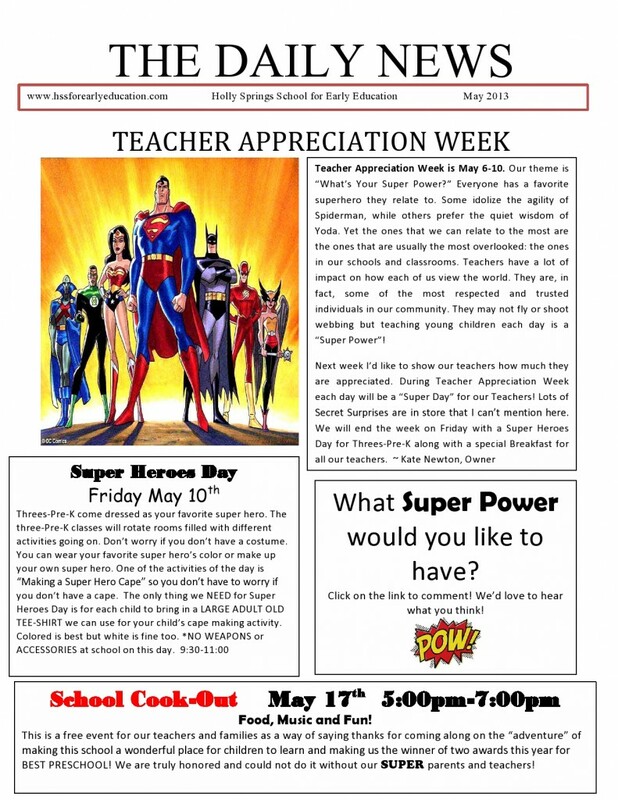 Just click on the link to see the Newsletter! 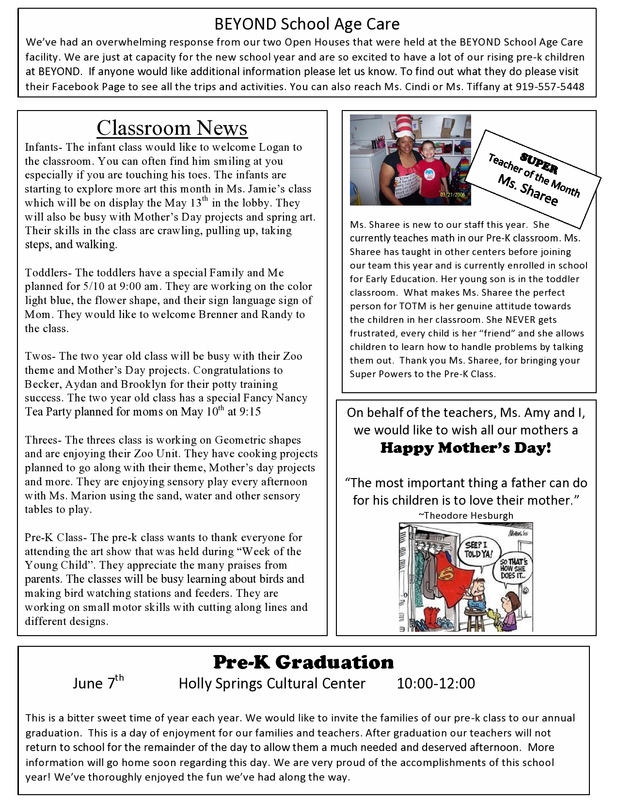 Please click on the blue link to download a PDF of the Holly Springs May Parent News!